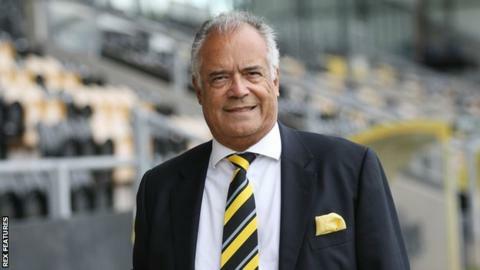 Burton Albion's first ever season as a Championship club helped them make a pre-tax profit of almost £1.35m. The Brewers' record profits were for the financial year from April 2016 to the end of March 2017 and include most of the 2016-17 season. Burton avoided relegation, while the rewards of playing in England's second tier saw them make £1,344,038. "We're in a good position, with a solid base to make strategic investments," said chairman Ben Robinson. "Having survived relegation, the club needed to be in a strong financial position for our second season in the Championship. "For a club of our size competing against former European champions, and in a division where the vast majority of clubs have been in the Premier League and some still receive parachute payments, it's not a level playing field. "Therefore, it was important to maximise resources."